Denver-based Bridge Education Group (Bridge®) announced that following a recent evaluation, the organization has been granted a five-year reaccreditation by the Accrediting Council for Continuing Education & Training (ACCET). This reflects the maximum length of time possible for reaccreditation. 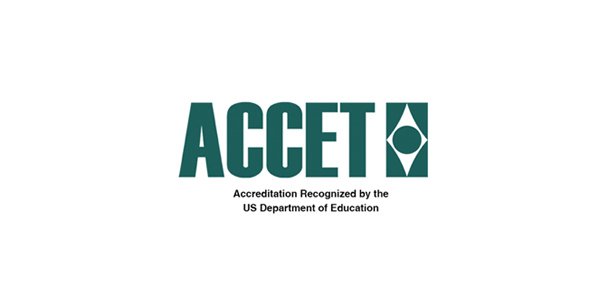 ACCET is an independent agency that reviews and certifies continuing education and training programs in the United States. It is listed by the U.S. Department of Education as a nationally recognized accrediting agency. Bridge was originally accredited by ACCET in 1998, and the reaccreditation process must be undertaken periodically in order to maintain that status. Reaccreditation is a very rigorous process that includes an exhaustive self-study, visits to every Bridge campus by ACCET representatives, and a detailed team report following those visits. Specifically, during the most recent reaccreditation process, the ACCET team visited Bridge classes, interviewed Bridge students, faculty and staff, and assessed the organization across nine standards of quality: mission, management, finances, curricula, instructional delivery, instructional personnel, admissions, student services and student evaluation. During the reaccreditation process, ACCET specifically commended Bridge for excellence in a number of key areas and recognized its efforts towards meeting the standards of accreditation.